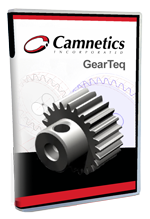 Save time purpose-built solutions for cam design, gear design, drive design and 3D die design. 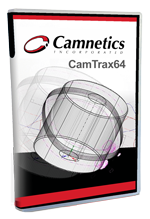 CamTrax64 helps the designer create solid models of virtually every type of cam with the dynamic motion control parameters your system requires. CamTrax64 standard cam types include cylindrical cams, plate cams and linear cams. GearTeq provides the designer with advanced tools for creating solid models of drive components and assemblies. GearTeq goes beyond simple library programs to create each part model with its specific requirements, just as a designer would, but much more quickly. GearTrax provides the designer with an easy to use tool for creating solid models of drive components. It’s intuitively easy to use for the designer with limited gear experience yet powerful enough for the gear expert. Discover how you can collaborate faster and more easily with new and innovative tools in SOLIDWORKS 2019. For more information, check out our full what's new video library. See how Alignex designs interactive experiences to help engineers and manufacturers evaluate new solutions, validate their current processes and ultimately, make better products. View all upcoming events and webinars.